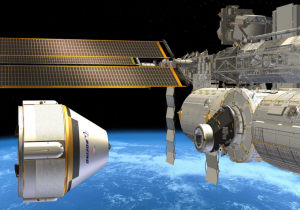 Boeing is now guaranteed to launch astronauts at least twice on its CST-100 Starliner vehicle, recently announcing it secured an order from NASA for a second commercial crew flight. The first order Boeing received from NASA took place back in May, as part of an initiative to get American astronauts back into space on American-made vehicles again. NASA’s commercial crew program is a two horse race between Boeing and SpaceX, with SpaceX securing an order from NASA in November to send astronauts to the International Space Station aboard its Crew Dragon. At the moment, NASA has not announced whether it will rely on Boeing or SpaceX for the inaugural commercial crew launch but both will represent a much more affordable option than having to use the Russian Soyuz rocket to transport astronauts to the ISS. While specific launch dates for the commercial crew spacecraft have not been set, they’r supposed to happen sometime in late 2017, with the potential to be pushed back to early 2018.